How nursing management degree apprenticeships can help fill the gap in senior nurse positions. The apprenticeship levy, introduced in April 2017, aims to fund three million apprenticeships in the UK by 2020, and will ensure that organisations that spend more than £3 million on pay each year invest in apprenticeships. There are a range of apprenticeships available in healthcare, including nursing management degrees, and some NHS employers see them as an opportunity to invest in, and develop, existing staff. Issues related to skills gaps in the NHS are well documented. In a rapidly evolving health sector, where research and advances in technology mean that patient care rapidly changes, the pressures on academia to deliver skilled, practical graduates into the workforce is unprecedented. When graduates do enter the field, the requirement for NHS employers to ensure equal development opportunities is also pressing. 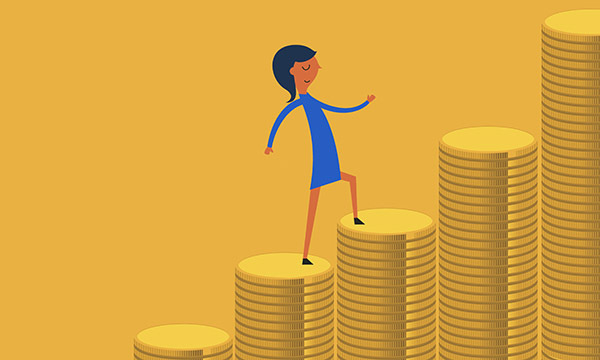 Transparent pay structures and a clear banding system have helped counteract gender pay disparities, while extensive reports have examined the reasons for imbalances, exploring issues such as confidence, training and flexible working. There now needs to be a greater focus on leadership, which was one of the issues identified. The issue of seniority is the latest crisis to hit the NHS. In 2014, there was an exodus of senior nurses, as 1,000 matrons and 3,400 other nurses left the profession according to Health and Social Care Information Centre data. This trend has continued, with a series of cuts to NHS band 7 and 8 posts, leading to a worrying lack of leadership positions. For many, the management gap that is prevalent in nursing, means that hospitals may lack the experience and knowledge that is vital for coping with unprecedented levels of demand. The Royal College of Nursing (2016) came to the same conclusion, stating that ‘career pathways and training opportunities need to be actively championed’. In a climate of budget cuts and investment in new, lower-grade positions, the answer must be in healthcare providers’ existing staff and in training and development opportunities in the workplace. Since April 2017, the NHS in England has had to spend the equivalent of 0.5% of its wage bill on the apprenticeship levy, a figure that is set to hit £200 million (NHS Health Education England 2017). This funding can only be recouped through investment in apprenticeships – and provides a vital opportunity to boost higher-level skills among the current workforce. Organisations, through desire and necessity, must be resourceful with finances and one way to do this is to address vacancy issues by looking for internal candidates. To ensure high quality care and service provision with skilled and effective leaders, it is crucial that NHS employers recognise the talent they already have. Leadership is often a main part of a nurse's role, right from the start. Self and social awareness, time management and relationship skills are intrinsic elements of good nursing and are also attributes of effective leaders and managers. By harnessing the experience and expertise that already exists, and putting more emphasis on training and development, these skills can be nurtured and career progression prioritised. Training opportunities in healthcare must sit alongside the day-to-day priorities of improving patient care and clinical leadership. Management degree apprenticeships, such as those offered by the Open University, are becoming a popular way of providing staff with the higher-level management skills, core competencies and other qualities they need to become leaders so they are equipped to drive performance and productivity within their organisations. As a work-based learning programme that combines on- and off-the-job learning, one of the benefits of management degree apprenticeships training is that it can fit around workplace demands, making it particularly suitable for those already working in health services. Apprenticeships give staff ongoing learning opportunities and they can breed loyalty and engagement, as well as important practical and theoretical skills, making them an attractive investment for employers. Equality and diversity are high on the health service agenda and one of the six NHS England (2016) equality objectives is to improve the recruitment, retention, progression, development, and experience of its employees, to ensure the NHS is an inclusive employer. When combined with the uncertainties about Brexit and its implications for staff from the European Union, it is apparent that there is a pressing need to ensure staff from all backgrounds are given equal opportunities to succeed and develop new skills needed in healthcare. Currently, many employees in the UK do not believe they have a fair chance of moving up the social ladder, but nursing has a great opportunity to tap into its diverse workforce and promote social mobility, equality, and diversity. By harnessing the talents of staff from all backgrounds and raising awareness that progression opportunities are available to everyone, a more equal and attractive system can emerge. To close the leadership gap, and to ensure that nursing remains an attractive career option, there must be more development opportunities. In the wake of budget cuts that have resulted in understaffing and dissatisfaction, the only way to address this is to invest in existing employees and open up career pathways. Developing the management skills of existing staff creates people who are more committed to and who better understand their organisations. The quality of services and care can almost always be improved by developing existing staff as these newly promoted managers will bring in-depth knowledge and expertise about their organisations to their new roles.